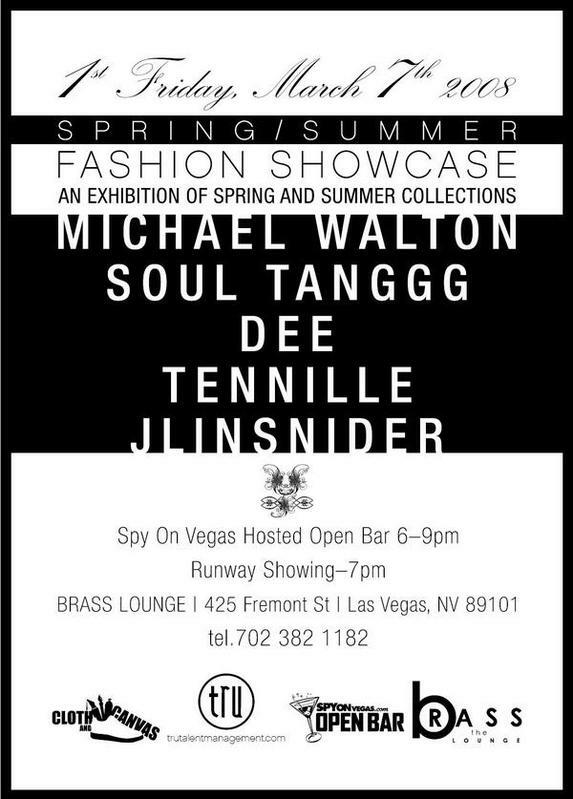 Where: Brass Lounge, Fremont & Las Vegas Blvd. Upstairs at Hennessey’s Tavern to the left of the escalators. 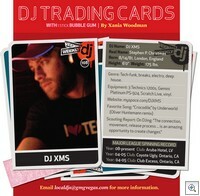 When: 6–9pm, Friday March 7th. 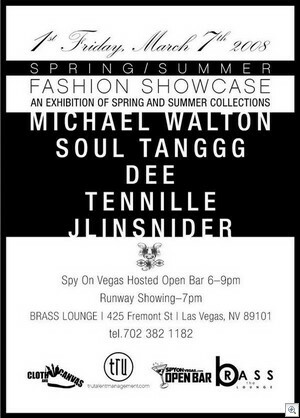 What: Hosted drinks from 6–9 compliments of 944 Magazine & Spy on Vegas. Fashion show from 7–7:45–ish, music starts at 6 and will continue in a dancable fashion ‘til 9 pm. Yes, that’s a shameless plug up there, but at least there’s free drinks!